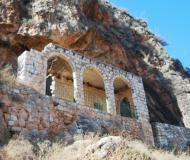 A Holy cave on the cliffs above the northern side of Beit-Kerem. According to Arabic tradition - Elijah's hiding cave. The Crusaders dedicated it to St. George. 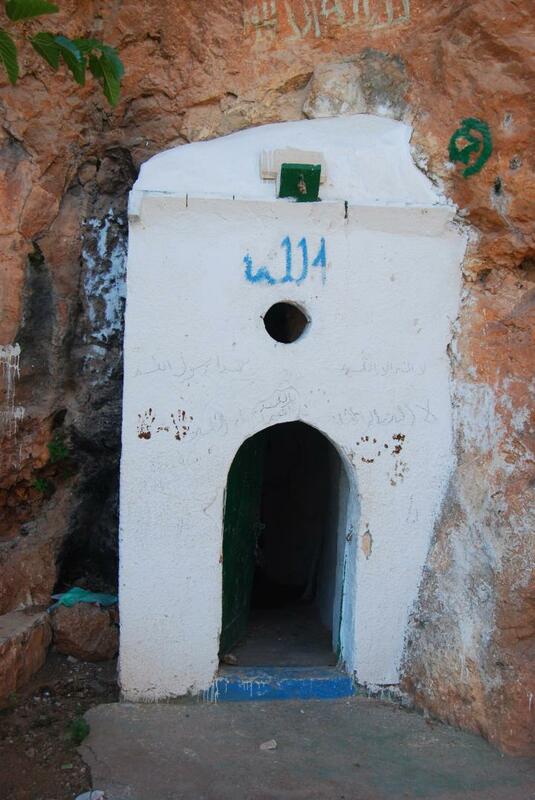 A Sheik's tomb is located at the site. 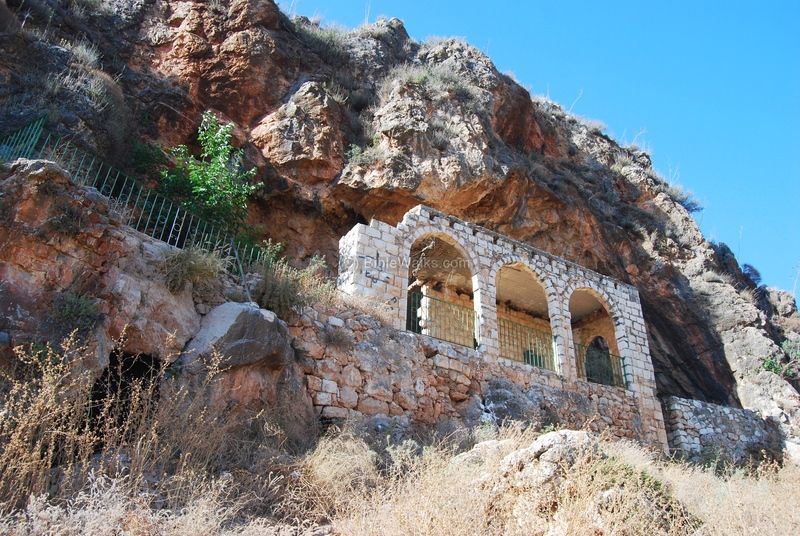 1 Kings 19:9: "And he came thither unto a cave, and lodged there..."
A Holy cave and Sheik's tomb on the northern cliffs of Beit-Kerem. 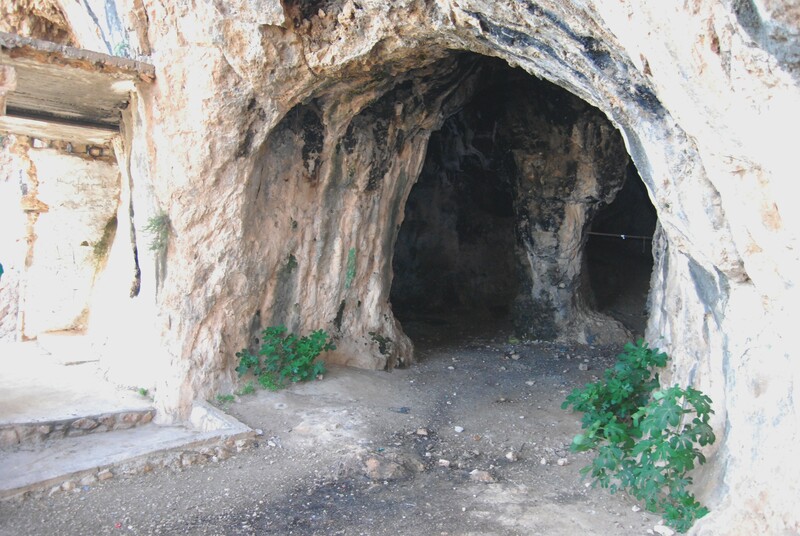 According to Arabic tradition - Elijah's ("El-Khader") hiding cave. El-Khader is also the Arabic name of the Christian hero St George. A structure is built in front of the cave. The cave is located on the face of the high Matlul-Tsurim cliffs (alt 368M, 140M above the valley), east of the villages of Deir El-Asad and Bin'a and west of Nahef. A 20-minute hike along a narrow trail is the only access to the site, but worth the effort. You should park your car on the eastern side of Bin'a (marked "Park here" in the map below), then walk along the trail. According to tradition, the cave was the hiding cave of Elijah the prophet - whose Arabic title is "El Khader" (the green one - implying being "fresh" and alive). As per the Bible (1 Kings 19:9): "And he came thither unto a cave, and lodged there. And the word of the LORD came to him: "What are you doing here, Elijah?"". 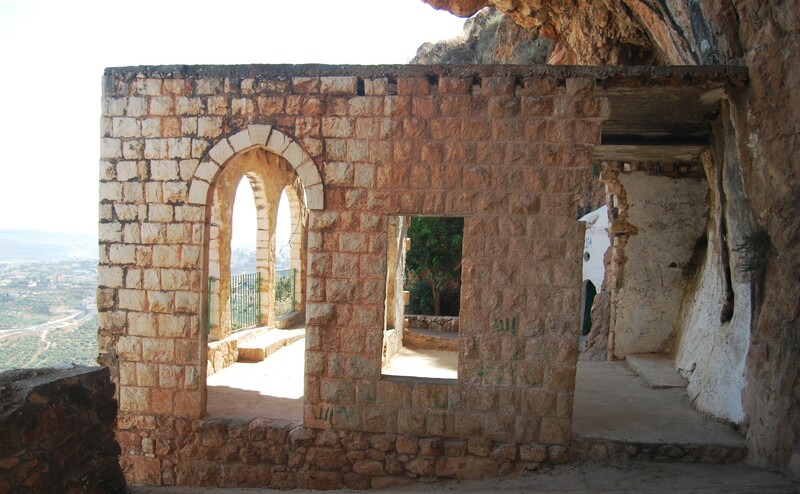 There are a number of other caves around the Galilee, on Mt Carmel, and near Bethlehem that are associated with this tradition. 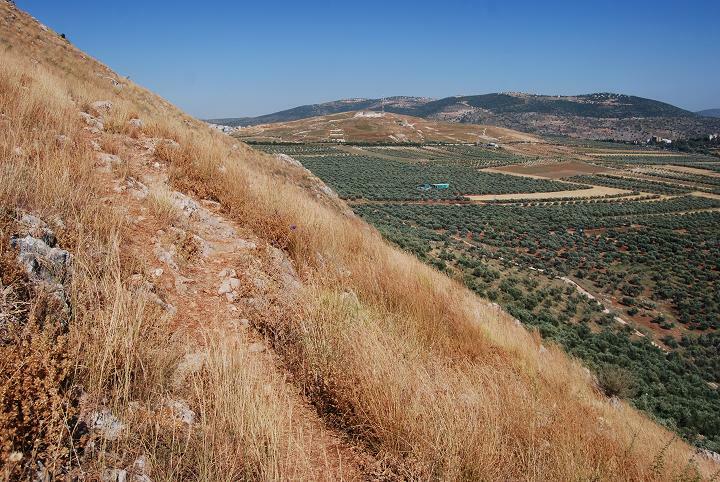 This area of Beit-Kerem was a major center of Christian monasteries, centered in the fortified village of Khirbet Bata. The caves in the hills were used by the monks for seclusion and this site was probably among the caves where the hermits resided. During the Crusaders period the village of Deir El-Asad ("Lion's Monastery") was a Crusader fortified Benedictine abbey which protected the road from Acre to their fortress in Zefat. The cave was named after the village - Saint George de Lebeyne, and the valley was named after St George. The structure in El-Khader may have been based on an earlier Crusader church. St George, an early Christian, served as a Roman tribune and died in 303 and buried in the city of Lod (Lydda). 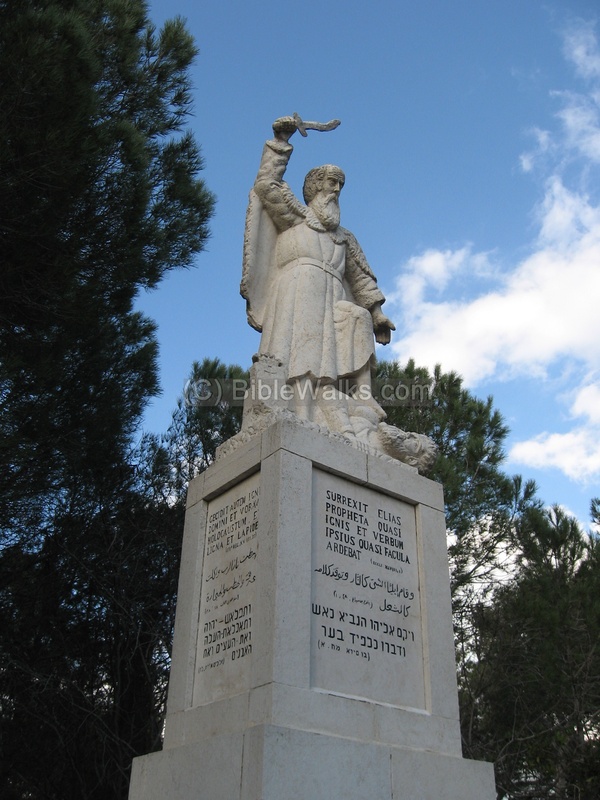 He is regarded as a martyr, a great Holy warrior saint, and many sites in the Holy Land are dedicated to this hero. He is also the patron of other countries, such as England and Georgia. His title, in Arabic, is "El-Khader" - the green, meaning the Holy one. 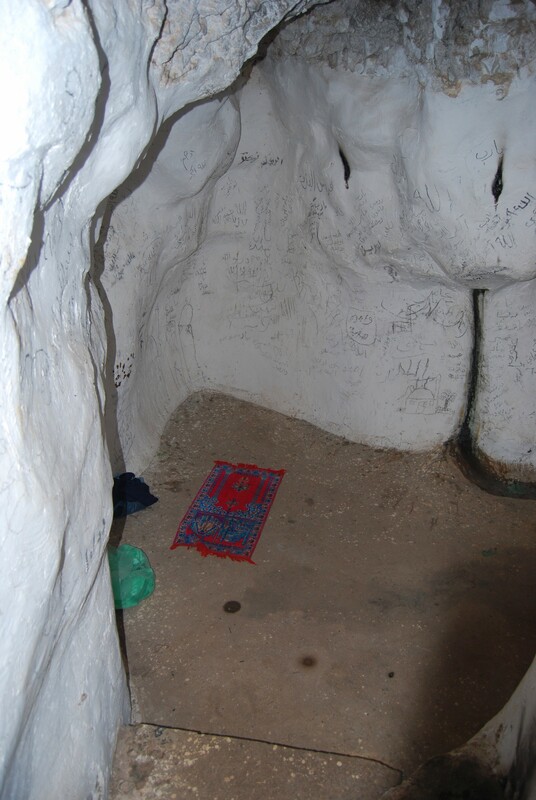 According to Druze tradition, the cave was in the 16th C a hiding place of Fakhr ad Din II ( "Glory of the Religion") al-Ma'ani who was Governor of Sidon. This Druze leader united the Druze and Maronite districts of the Lebanon mountains, and is regarded as the father of Modern Lebanon. In his times there was a massive Druze migration to Galilee and Carmel. In the PEF map (1878) the site is listed as "El Khudr Abu El Abas". The structure is partially ruined, but is open all day to visitors. Be sure to bring water with you, and be careful while walking along the nature trail. 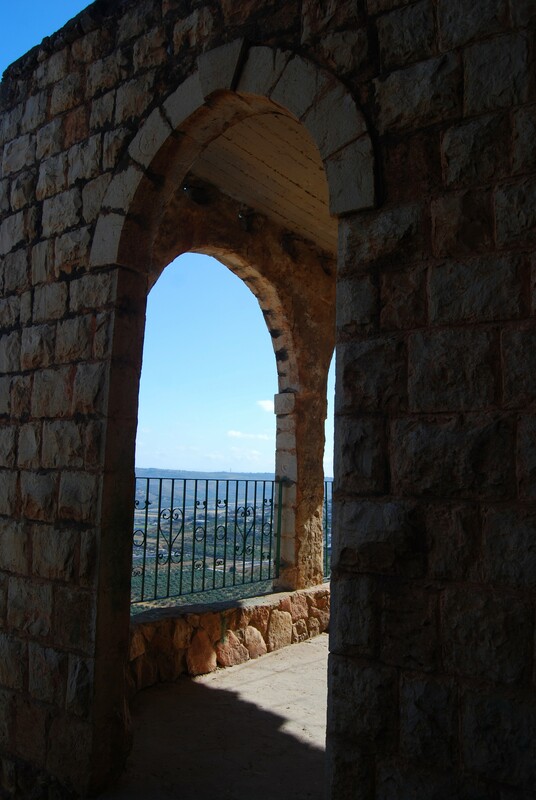 The arched structure is hanging in the cliffs high above the valley of Beit Kerem. The photo below shows the southern side of the structure. The caves are behind it. The site is accessed thru a narrow trail from Bi'na, which is located on the the west side. 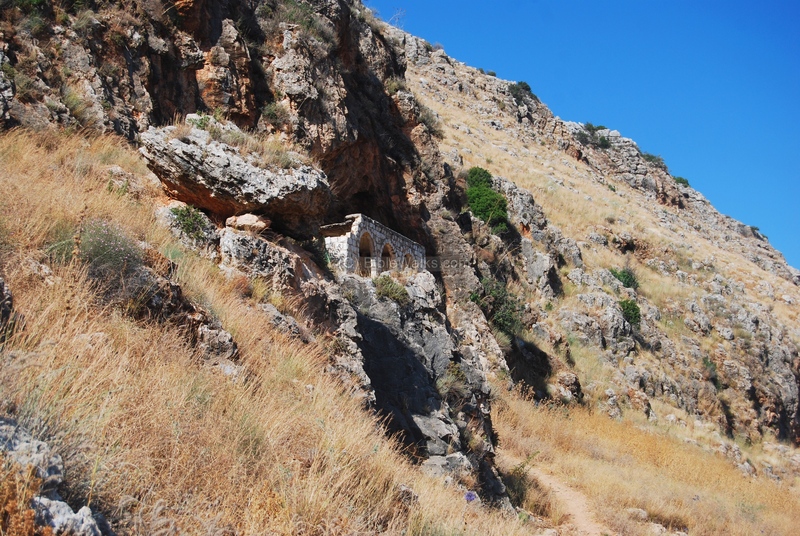 The following photos show the site in detail, arranged in the order of the walk along the trail from Bi'na to the cave. Starting from the eastern side of Bi'na, you can see the view of the high cliffs ("Matlul Zurim") closing on the Beit-Kerem valley from the north. The site is hidden in the cliffs, and from this distance it is hardly noticed. You can move the mouse about to try to find it...a text will appear when you hit the right spot...click to view in higher resolution. The trail starts along an olive grove, then continues in a height just above the line of olive trees. 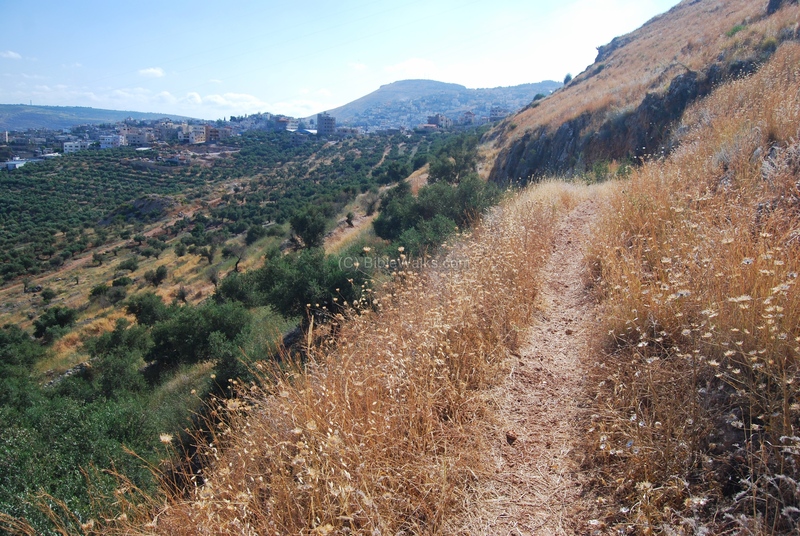 Looking back towards the starting point, the villages of Bi'na/Deir-el-Asad is seen in the background. 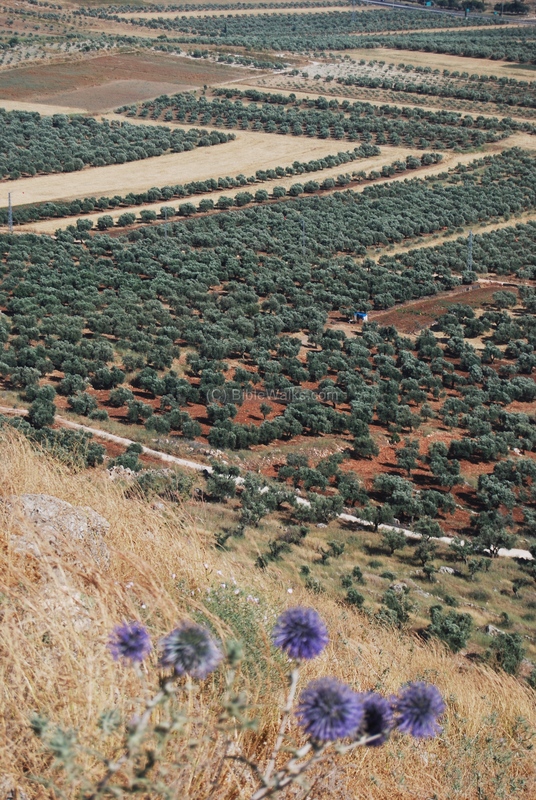 Down in the valley are hundreds of olive trees, arranged in straight lines. In the foreground are the common Kipodan (common Globe-thistle, or: Echinops adenocaulos), a thorn that flowers in June -July, and is widespread in many areas of Israel. A panoramic view of the valley is seen in the photo below. The city of Karmi'el is seen on the background, stretching from east (left) to west (right). Clicking on the photo will open a flash viewer, which will allow you to move around, navigate to hot spots, and open a full-screen view. The trail continues up the hill towards the cave. 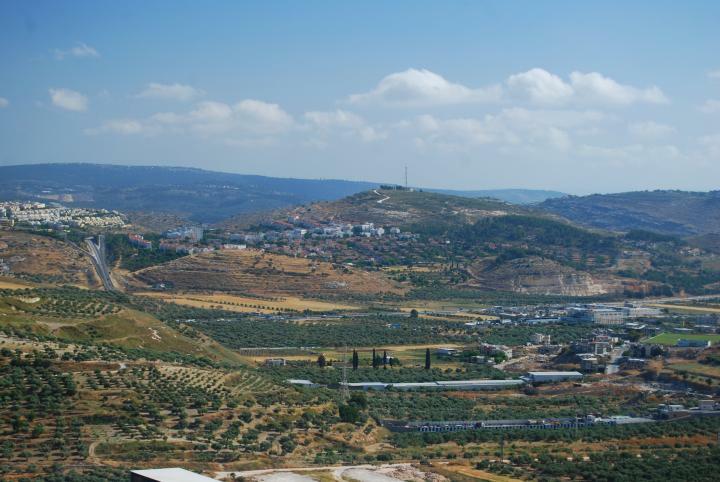 In the center background, the brown hill is called "Givat Zakif", which is located to the south-west of Nahef (Nahf). A road can be seen at its foothills - it climbs up the cliffs to the top of the Matlul-Zurim cliffs above the cave. Finally we reach the site, hidden in the cliffs. A triple arch structure stands in front of the caves. On the eastern side of the site is an opening of the cave, seen below. The structure is built along the entrance to the cave. A view of the structure from the west side is seen in the photo below. There is a cistern on the bottom of the floor which stores the water. A view from structure towards the valley is seen below. 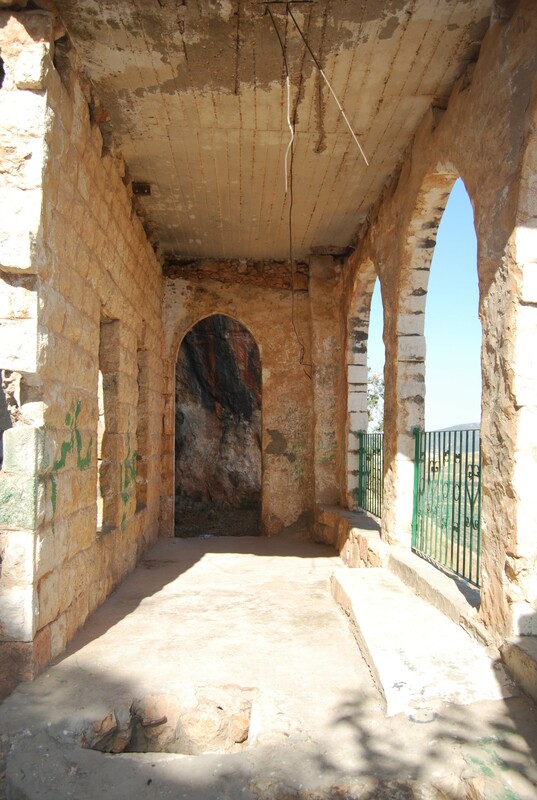 The photo below shows another view of the interior of the structure. 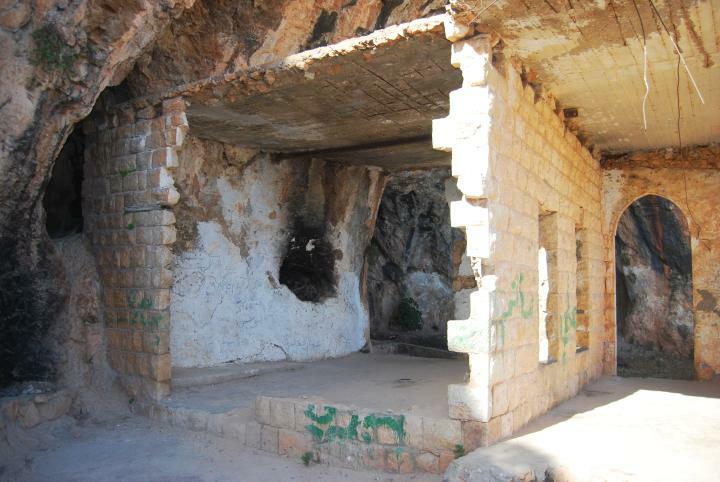 On the western side of the structure is a door that leads to a small cave. A view of the entrance to the cave is seen below. Inside the cave is a praying carpet, seen below. 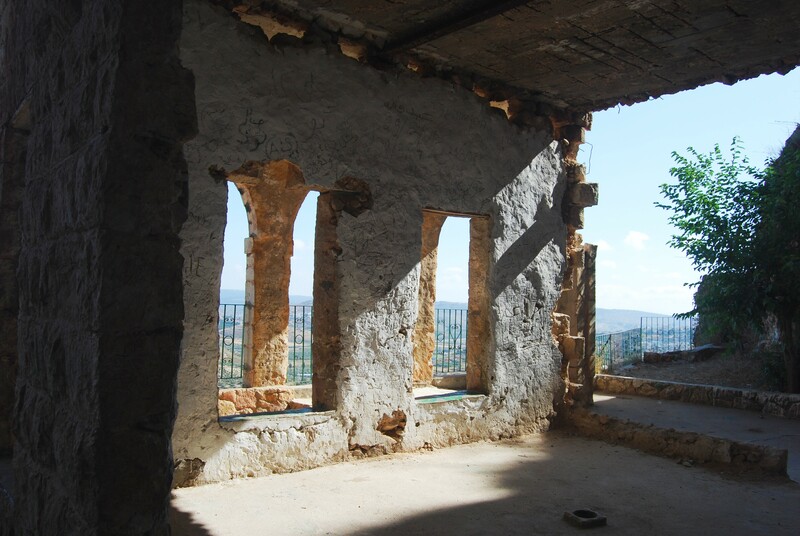 The porch in front of the structure provides a great place to view the valley. The west side of Karmi'el is seen below, with two of its ancient sites - Kabra and Madrasah - which were ancient sites with Byzantine monasteries. 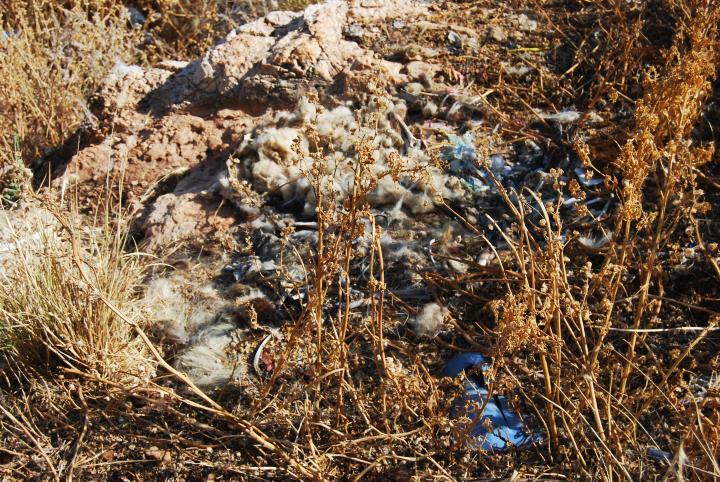 In front of El-Khader, on the hillside, are remains of slaughtered sheep. The visitors to the Holy site come and sacrifice the animals and eat the meat in family gatherings. 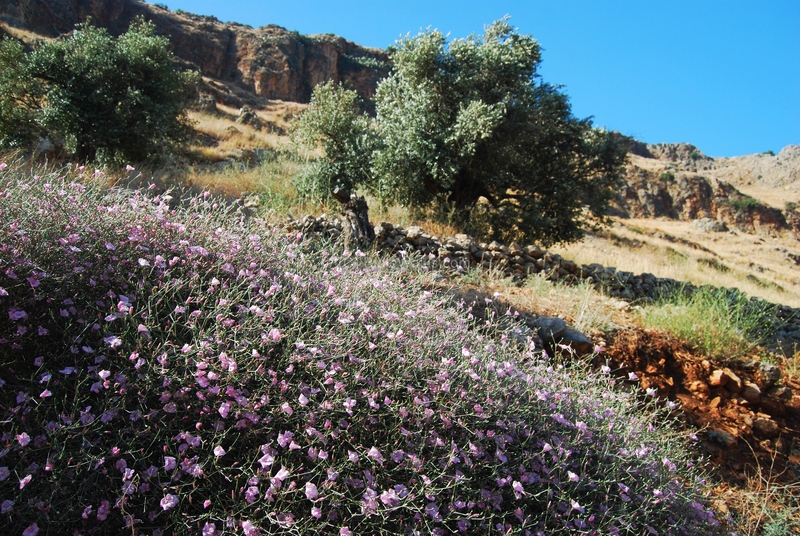 Walking back to Bi'na, you may notice and admire wild flowers along the hillside and between the olive trees. This large bush of pink flowers caught our eyes with its wide span along the walls of the olive grove. 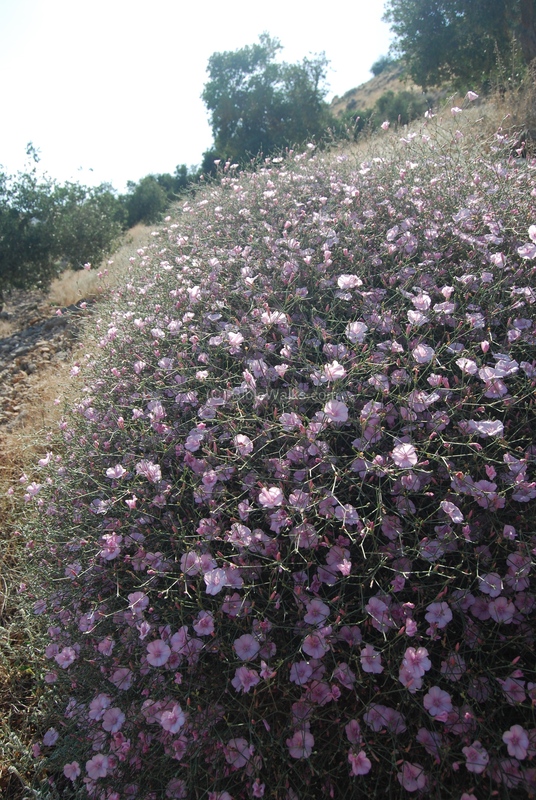 The bush is called "Splendid Bindweed" (Hebrew: Khavalval-Hasi'akh, Scientific: Convolvulus dorycnium); it flowers between April and July (the picture was taken in June). Elijah's cave - on the Carmel. The traditional site. El-Khader - Elijah's name in Arabic (means the 'green', implying being "fresh"). 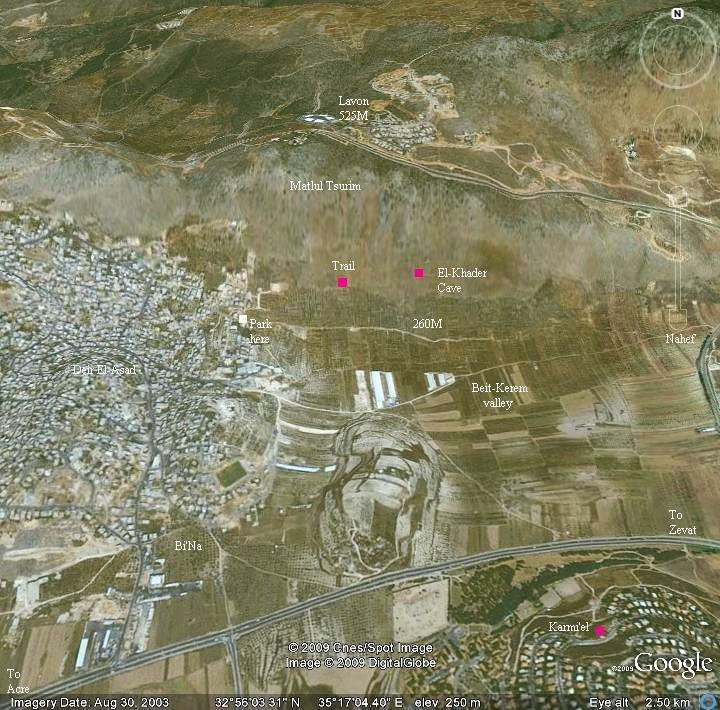 There are other sites in Israel with this name, such as El-Khader village near Bethlehem. Elijah - The prophet. In Hebrew: Eliyahu. Means in Hebrew: Eli (my God) + Yahu (the Lord, the Hebrew God). Thus the name means "The Lord is my God". St George - also named "El-Khader". 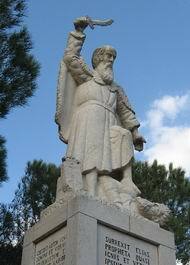 St George was born and lived in the 3rd C AD in the Holy Land city of Lod (Lydda), a city south of Ben-Gurion airport. George, an early Christian, served as a Roman tribune and died in 303. His coffin is located in St. George church (in Lod; has the same name), where according to a 6th C tradition his remains are located. He is regarded as a martyr, a great Holy warrior saint, and is illustrated in many Churches as a "dragon slayer". 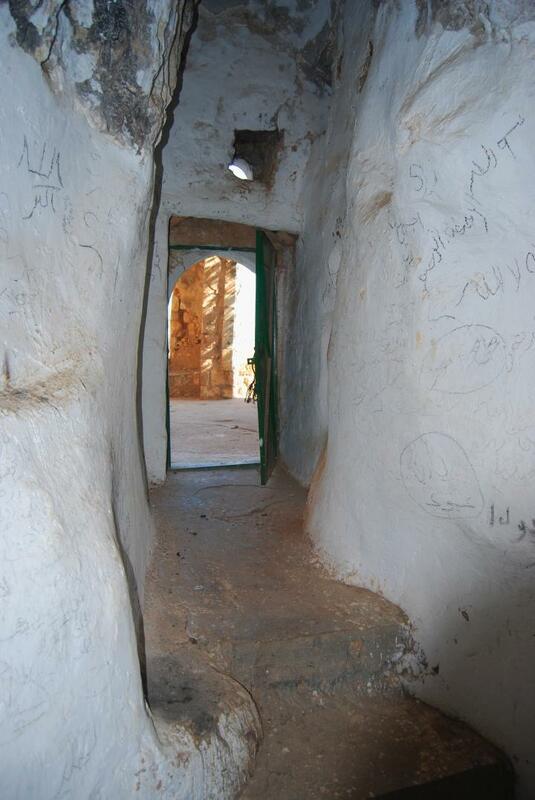 Deir El-Asad - Arabic: "Monastery of the Lion" (Dier is monastery and Asad is Lion). A Crusader monastery operated here, and serviced the route between Acre and Zefat. In the PEF map (1878) the name is written as "Dir El-Asad El Bineh". 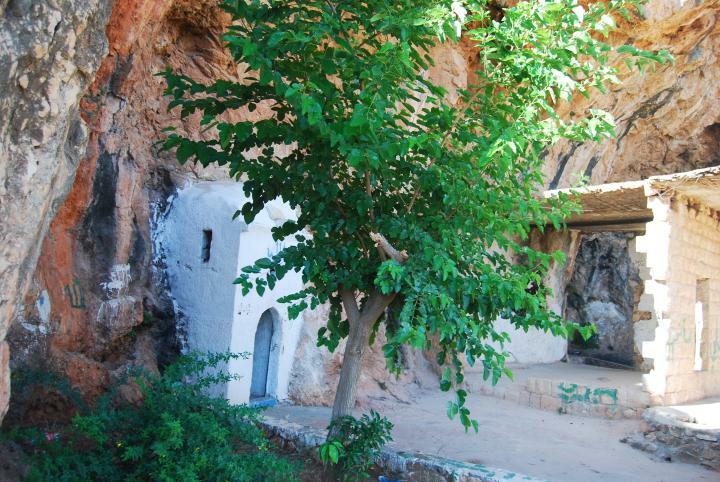 Bi'na - The village near the cave, incorporated with Deir El-Asad. The Crusaders' name was Saint George de Lebeyne, where the suffix is named after Bi'na. In the PEF map (1878) the name is written as "Baneh". Beit Kerem (Beth Cerem) - Hebrew: House of the vineyard (or olive grove). The Crusaders named the valley on St George- Vallais St. Geirgii. 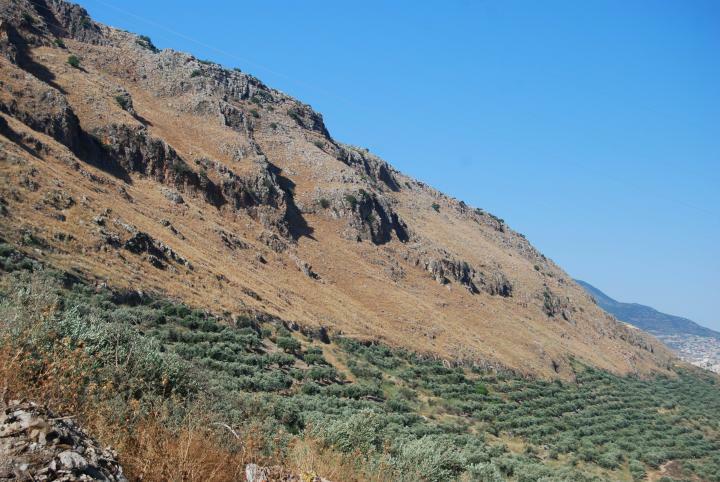 An ancient village, perhaps called "Kerem" (Hebrew: vineyard or grove), was located in the valley during the Bronze/Iron periods, giving its name to the valley. 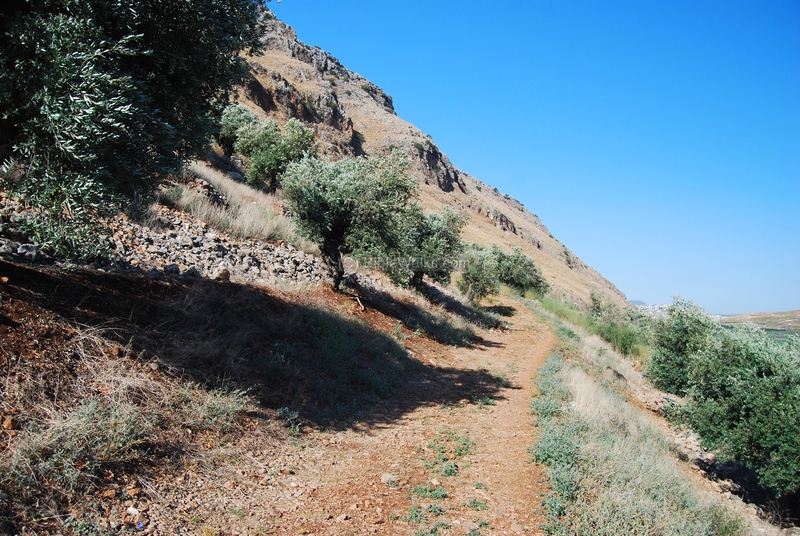 The village was located in the path of the route from Acre, via Itzhar (Yitzhar) creek near Har-Gamal, through the valley of Beit-Kerem, towards the east. The site may have been located around the area of Majid-el-Kurum (Arabic: "the praise of the groves") or in Deir-el-Asad ("Lions monastery"). Remains from those periods were found in this area. Matlul Zurim - Hebrew: Steep Cliffs. The altitude of the high edge of the cliffs is 525M, which is 160M above the cave and 250M above the valley.